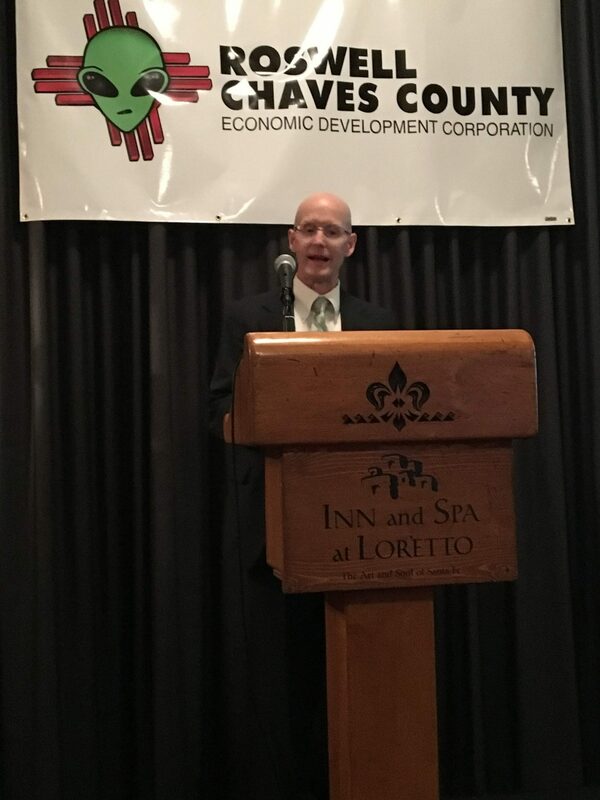 The assets Roswell and Chaves County bring to the table as players in New Mexico’s continued economic development were on display during the annual Chaves County Legislative Dinner Thursday night in Santa Fe. 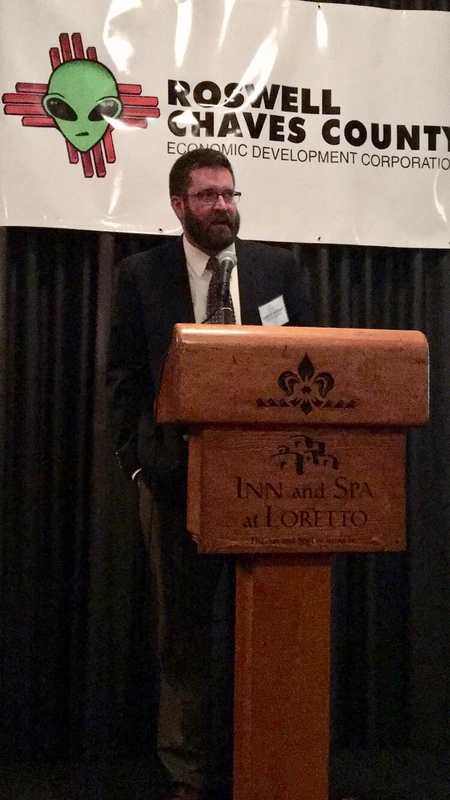 Those assets — running the gamut from far-reaching tourism efforts to a strong oil and gas economy — consumed much of the evening’s focus. Local business leaders who spoke during the event also described challenges faced by their respective industries. 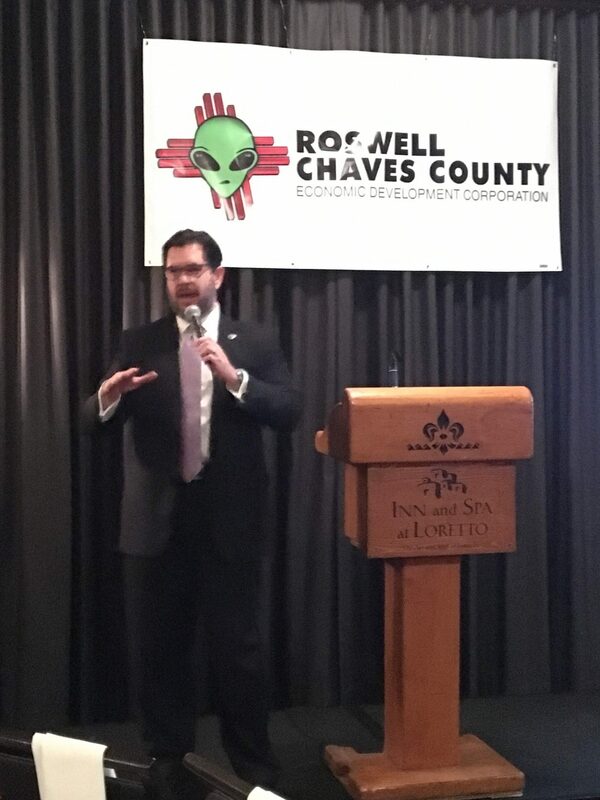 The third annual installment of the dinner organized by the Roswell-Chaves County Economic Development Corporation was attended by 135 people, including legislators and other state officials representing various arms of government. Among those in attendance were Gov. Michelle Lujan Grisham and Speaker of the New Mexico House of Representatives Brian Egolf, both of whom spoke during the event. 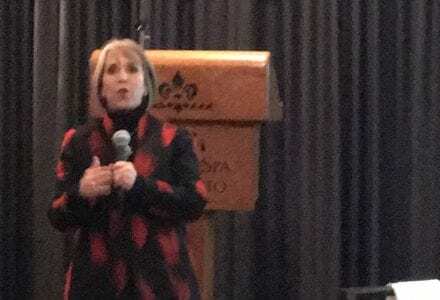 Lujan Grisham touted the recent progress of a closely watched piece of legislation, a bill that would create a regional air authority to oversee operations of the Roswell International Air Center. House Bill 229 is among a group of bills vetoed by the previous governor — but otherwise broadly supported — being fast-tracked through the current session of the Legislature as part of a so-called “rocket docket.” The bill overwhelmingly passed the House of Representatives on Wednesday. “The airport is a clear infrastructure investment,” Lujan Grisham said. “We understand that the Legislature has a limited amount of time, and I’m ready to support all ideas that move the needle,” she said of the fast-tracked legislation. The governor also touched on another concern for this corner of the state: the condition of the region’s roads. Many are seen as safety hazards and are considered inadequate for the traffic created by the oil and gas sector and other local industries. 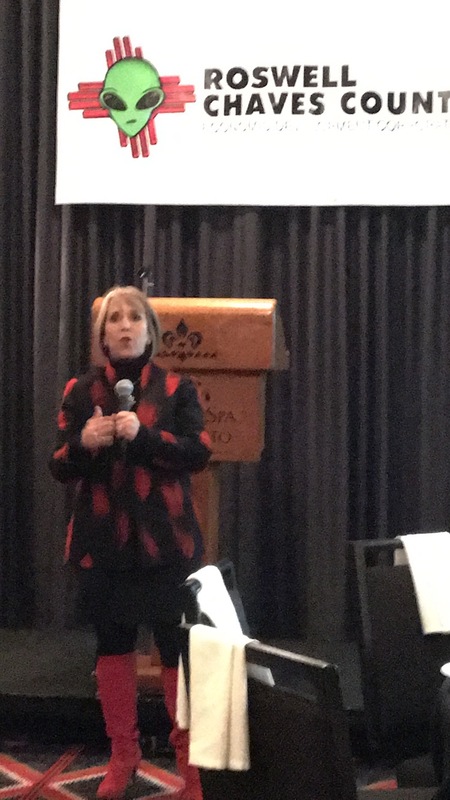 The loss of life on area roads is a major concern for her, Lujan Grisham said, and that’s enough to make improving infrastructure a priority. 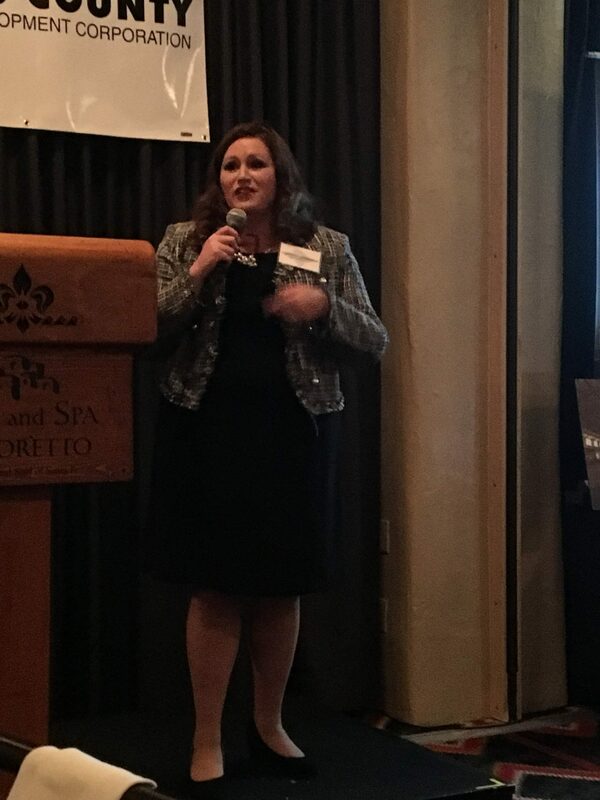 But she touched on the economic development impact as well, saying better roads are needed to sustain the oil and gas industry and other businesses in this part of the state. 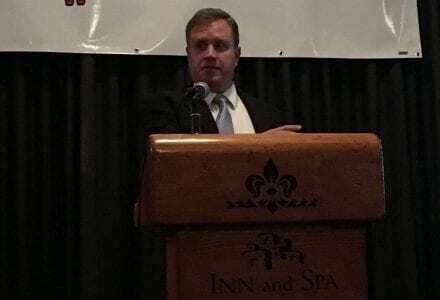 The governor also emphasized the need for state government to provide local communities with tools and resources to improve their economies as a way of lifting the state’s economy as a whole. Egolf welcomed Chaves Countians and others in attendance by also spotlighting House passage of the airport authority measure. 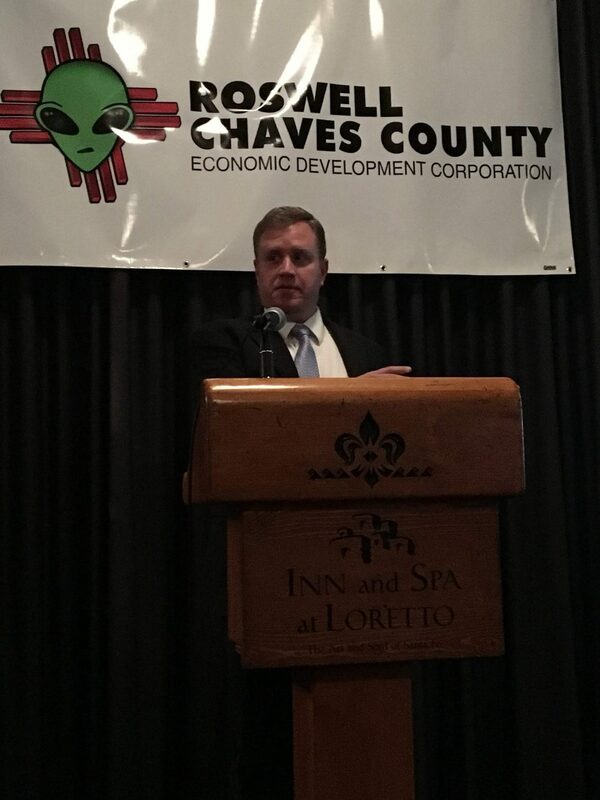 Among the presentations by local officials was a spotlight on Roswell tourism. 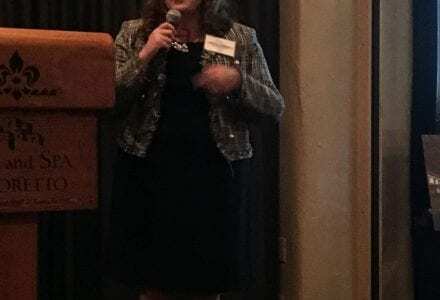 Juanita Jennings, city of Roswell Public Affairs director, described the impact of tourism on Roswell and on the state, while highlighting the city’s recent branding efforts. Roswell could never afford, through typical marketing and advertising spending, the level of publicity and recognition it has garnered from its connection to “UFOs and Aliens,” Jennings said, making the notoriety connected to the alleged 1947 UFO crash here a significant economic driver. This manifests in the form of television shows — such as the CW network’s current “Roswell, New Mexico” series — films, and various other forms of media. At the same time, the city has taken proactive marketing steps such as recently launching a new brand and restructuring as needed to best utilize its visitor-focused assets. Roswell is part of statewide tourism economy that last year generated $6.6 billion as it drew 36.1 million visitors. 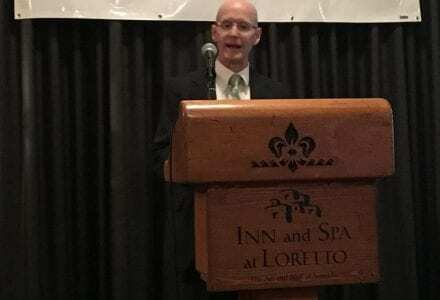 Visitor-related spending sustains 8.3 percent of all jobs in New Mexico, Jennings told the crowd, a number three times the enrollment of the University of New Mexico. 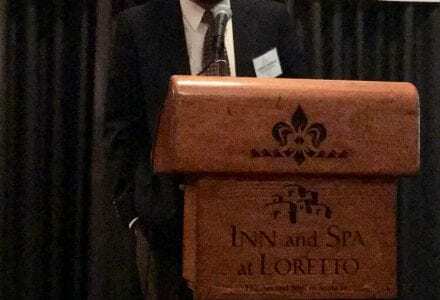 Robert Tuttrup, vice president and general manager of Leprino Foods, spoke about workforce-related issues his company and others in Chaves County often confront — among them, finding and retaining skilled workers. It’s a problem employers across the country face. 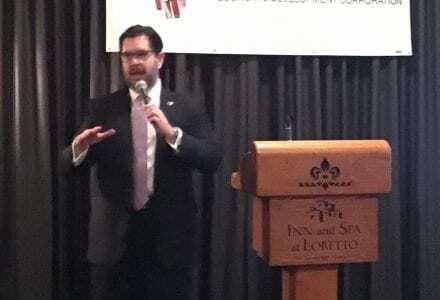 Locally, there’s been dialogue between businesses and educational institutions about programs to better prepare workers for skilled-trade jobs offered here. Industry leaders also reported on issues and achievements related to the oil and gas sector and challenges faced by dairy producers. Editor John Dilmore can be reached at 575-622-7710, ext. 303, or editor@rdrnews.com.